A treasured bicycle has been stolen from outside the BBC at the corner of Linenhall street this afternoon between 3pm-7pm. 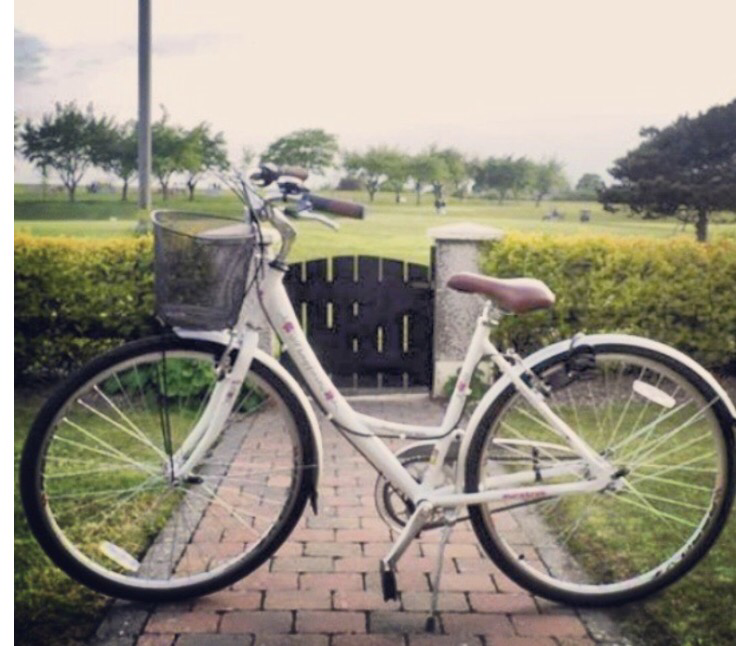 The bicycle belongs to popular journalist Maria McCann. If anyone has seen the bicycle or has any information regarding the theft then please contact Maria on social media @journomaria on Twitter. No one likes to have their property stolen and we hope that via the power of social media and good CCTV that Maria’s bicycle can be recovered and returned to her and the perpetrators brought before the courts. 85 Responses to "SHARE: Appeal for information after theft of treasured bicycle "
I do love the manner in which you have presented this specific issue and it does indeed offer me personally some fodder for consideration. However, coming from just what I have witnessed, I simply just wish as the opinions pack on that folks remain on issue and not start upon a tirade associated with some other news du jour. All the same, thank you for this fantastic piece and while I can not agree with it in totality, I respect your viewpoint. Hey I am so excited I found your blog page, I really found you by error, while I was browsing on Yahoo for something else, Anyways I am here now and would just like to say kudos for a remarkable post and a all round thrilling blog (I also love the theme/design), I don’t have time to browse it all at the moment but I have saved it and also added your RSS feeds, so when I have time I will be back to read more, Please do keep up the superb work. hello there and thanks to your info – I have certainly picked up anything new from right here. I did then again expertise a few technical points the use of this site, since I experienced to reload the website lots of occasions prior to I could get it to load correctly. I had been considering if your web host is OK? Not that I’m complaining, however sluggish loading cases occasions will very frequently have an effect on your placement in google and could harm your quality rating if ads and ***********|advertising|advertising|advertising and *********** with Adwords. Well I am adding this RSS to my e-mail and can look out for much extra of your respective interesting content. Make sure you update this again very soon..
You made some first rate factors there. I seemed on the internet for the difficulty and located most individuals will go together with with your website. hello there and thank you for your information – I have definitely picked up something new from right here. I did however expertise some technical points using this site, since I experienced to reload the web site lots of times previous to I could get it to load correctly. I had been wondering if your hosting is OK? Not that I’m complaining, but sluggish loading instances times will very frequently affect your placement in google and can damage your high quality score if ads and marketing with Adwords. Well I am adding this RSS to my email and can look out for much more of your respective exciting content. Ensure that you update this again soon.. I just like the helpful information you provide in your articles. I will bookmark your blog and take a look at once more right here frequently. I’m moderately certain I will learn lots of new stuff proper here! Best of luck for the following! Do you mind if I quote a few of your articles as long as I provide credit and sources back to your weblog? My blog site is in the exact same niche as yours and my users would really benefit from some of the information you present here. Please let me know if this ok with you. Many thanks! Today, while I was at work, my cousin stole my iPad and tested to see if it can survive a 40 foot drop, just so she can be a youtube sensation. My iPad is now broken and she has 83 views. I know this is completely off topic but I had to share it with someone! whoah this weblog is excellent i really like studying your posts. Keep up the good paintings! You realize, many people are looking round for this info, you could help them greatly. A person essentially help to make critically posts I would state. That is the first time I frequented your web page and up to now? I amazed with the research you made to make this actual put up amazing. Magnificent task! You completed a few nice points there. I did a search on the subject and found the majority of persons will agree with your blog. Great items from you, man. I have have in mind your stuff prior to and you’re simply too fantastic. I actually like what you’ve received right here, really like what you’re saying and the way wherein you assert it. You’re making it enjoyable and you continue to take care of to keep it smart. I can’t wait to read far more from you. This is actually a terrific site. My developer is trying to persuade me to move to .net from PHP. I have always disliked the idea because of the expenses. But he’s tryiong none the less. I’ve been using WordPress on numerous websites for about a year and am concerned about switching to another platform. I have heard fantastic things about blogengine.net. Is there a way I can import all my wordpress content into it? Any kind of help would be really appreciated! Thank you so much for giving everyone an extremely marvellous possiblity to read in detail from this web site. It is often so cool and as well , full of amusement for me and my office fellow workers to search your web site on the least thrice every week to learn the newest things you have. And definitely, I’m so at all times motivated with all the brilliant strategies you give. Some two areas in this article are undoubtedly the best we have all ever had. I would like to thnkx for the efforts you’ve put in writing this web site. I am hoping the same high-grade blog post from you in the upcoming as well. In fact your creative writing skills has inspired me to get my own web site now. Actually the blogging is spreading its wings rapidly. Your write up is a good example of it. user can understand it. Therefore that’s why this piece of writing is amazing.